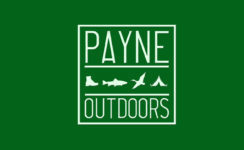 As Payne’s Paddle Fish has developed over the last two years, a couple of different paths have emerged. I have realized that there are topics that are umbrella like and should be talked about time and again. Safety is one of those. Other topics like gear are sought after as well but because of the format of my blog and so many topics to cover, gear reviews and kayak reviews often get lost in the shuffle. This was an opportunity. 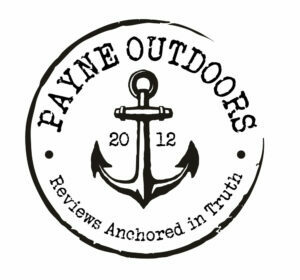 For the last 11 years I’ve been in the kayak fishing game and have seen the emergence of the community. The sharing of ideas, products and rigging have allowed our sport to grow. Unfortunately, our sport is at a deficit when it comes to straight talk about gear. Most of the reviews that are out there only speak highly of the products. This is where Kayak Gear Guru comes in. Kayak Gear Guru is a website where products will be talked about just as I’d tell you about them around the campfire. If a manufacturer doesn’t want constructive notes on how to improve, they should stay with their staffers to do the reviews. If a product is great, I’ll call it that. If it’s not great, I’ll tell you why, give points for improvement and then make a recommendation that is better. New reviews will come out each Monday. In May there will be videos that accompany each review so you can see it, read about it and feel like you’ve seen the product before you lay out your hard earned cash for it. When buying a kayak we say demo, demo, demo. Why should gear be any different? You should at least see some pictures and get an overview video. Right? If there is a product you’d like to see covered, let me know and I’ll see what we can do. Not all products will be able to be reviewed (I’m just one guy) but we will try to cover the array of gear you want to know about. Please go by the Facebook page and give it a like www.facebook.com/kayakgearguru and be sure to read some previous reviews already available on kayakgearguru.com While you’re there you can subscribe (also on the right) and get an email when a new review is posted (no spam, I promise!). On the right hand side, there is a list of upcoming product reviews. Make sure to tell your friends. When the video channel is ready to go, you’ll be the first to know.